Make Partschase your source for Wholesale Computers, Wholesale Computer Parts and Wholesale Electronics and set up an account today. Look to Partschase for computer deals on Notebooks, Servers, and Desktops. 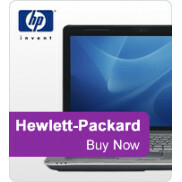 We supply parts for all major manufactures like Lenovo, HP Hewlett-Packard, Dell, Cisco, Intel, Acer, and many more. If you are looking for quantity pricing, or you found this item cheaper on another site, Make Us A..